The Barents Regional Youth Council (BRYC) is happy to announce that its upcoming annual meeting will take place in the city of Joensuu, which is the regional center and capital of North Karelia, Finland, the Barents Cooperation’s newest member region. Joensuu is known for being a unique meeting point between eastern and western cultures, due to its history and geographic location. Joensuu is also a city of students and home to several universities. We are looking forward to explore this unique region and welcome the area as part of the Barents Cooperation. The BRYC Annual Meeting will be held on Friday 15th of February 2019, at 12.00, at the North Karelia Chamber of Commerce office in Joensuu, Finland. The meeting is the highest decision-making body of BRYC, and will, inter alia, adopt a new work plan and a budget for 2019, as well as elect a new board. Besides that, general youth issues in the Barents area will be discussed. The North Karelia Chamber of Commerce, has kindly agreed to help BRYC facilitate the meeting in Joensuu. During the same week, the Chamber of Commerce will also be hosting the networking event “Northern Potential in Barents Region” (14-15 February). This event aims to gather young people, businesses, education and decision makers to discuss challenges and opportunities in future in the Barents Region. BRYC plans to attend this event as well, as is presents a great opportunity to establish new networks for future cooperation and to learn more about the current issues in the Barents Region. 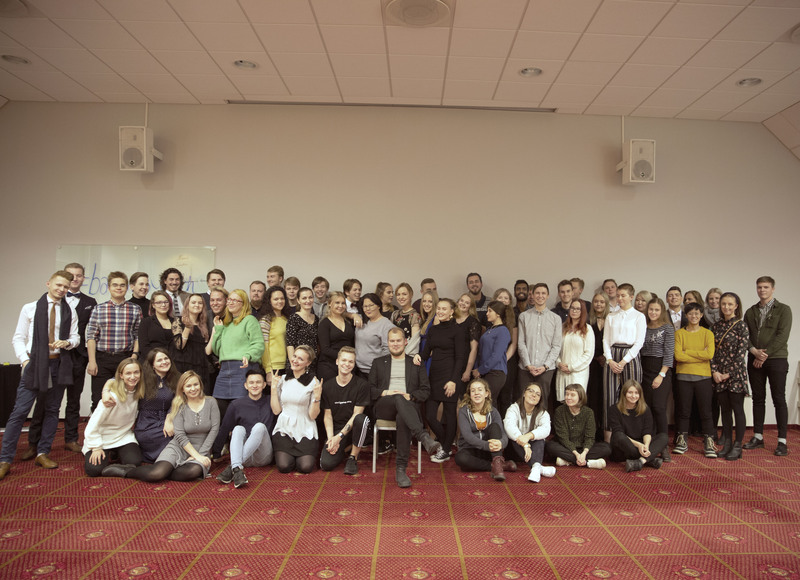 One of the most important goals for BRYC is to develop the Barents Region as an attractive region for youth. Urbanization is an interesting and relevant topic, and something that needs to be discussed more in our societies. Should everyone live in the large cities down south? Youth in general, all across the world, also sees the environmental challenges as an important issue. The Barents Region is rich in natural resources, and we want a green and sustainable life in our region. This is why BRYC finds it important to attend the event hosted in Joensuu, to continue this discussion and voice our message about peace and joint prosperity by cooperating. More information about the networking event "Northern Potential in the Barents Region" can be found HERE. Information about Joensuu can be found HERE. For more information about the annual meeting, please contact BRYC Chair, Tim Andersson, or BRYC Coordinator, Elizaveta Vassilieva.